Good Afternoon! 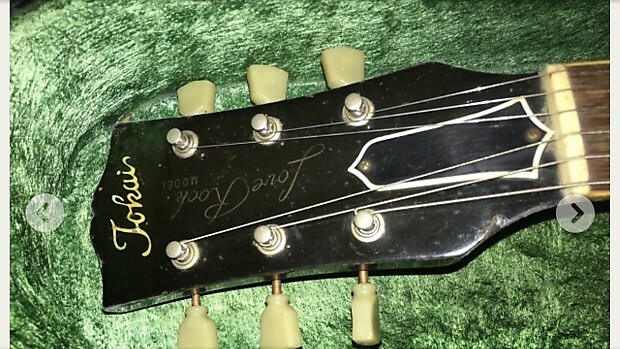 I hope someone can help me identify the model and year of a Tokai Love Rock. I purchased this used at a guitar show about 8 or 9 years. Looking to sell it and want to make sure I get a fair price. No SN on the back of the head. Looks like a 3 piece back. There is no sn on the back. Did you check for markings under the pickup cavities? The no SN is weird. When you pull the control cavity and look at the pots what do they say on the back of them? Do they say made in Japan or something else? One thing I did notice that was strange on your guitar. 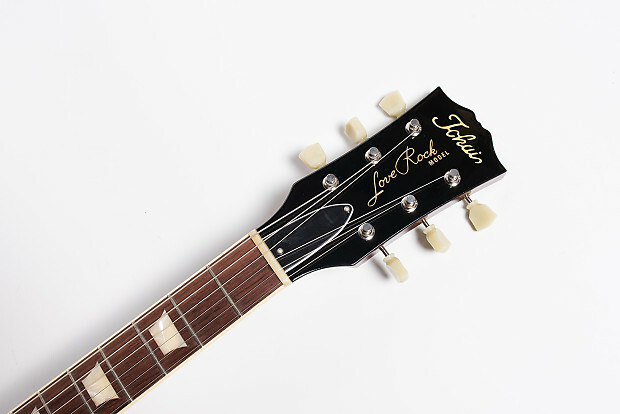 Look at the "love rock model" text on the head stock. The model ends right below the top tuners. Look at other love rocks old and brand new the "model" ends above the top of the tuners. Well, this is all very odd. No SN, but two screws in the truss rod cover and a Gibson bell fitted. Black cavity covers but a Chinese/Korean style bridge. For me the bridge is the decider, it's almost certainly not MIJ. But more detailed pictures are needed, as described above. Under pickups, inside control cavities, bridge, and I think under truss rod cover might help in this case too. Some Korean models had a 2 screw trussrod cover, and no serial number. 2 screw covers on Korean models did not last long.